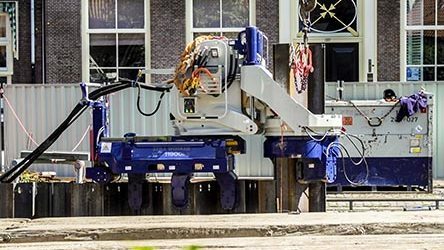 We recognise the importance of health and safety, indeed it is the foundation to all of our operations. We have a dedicated member of staff to oversee all aspects of health and safety. Not only that, but we are members of several bodies that help to ensure we are always one step ahead of advances in legislation and policy and are always reviewing our procedures to ensure the safety of your employees and ours. We are accredited to the FORS at bronze level (read more about the scheme here). Ensuring that our vehicles are legal and safe and that our drivers are constantly monitored. All vehicles and drivers from both our depots are now FORS compliant and are subject to an annual audit. 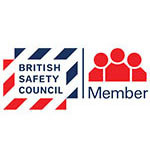 For over 30 years the BSC has been helping us to manage legislation and compliance and raising our health, safety and environmental standards making the workplace safer for everyone. 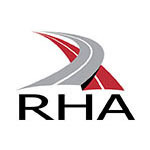 Our membership of the RHA ensures that our commercial vehicles are lawful and assessed on a regular basis. 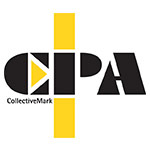 The CPA ensures that we keep up-to-date with health and safety policy and implementation. They also have access to a range of industry experts and experience and can assist us and our customers with any issues in case of disputes. 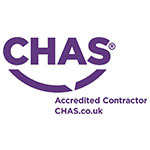 We are CHAS accredited which means we have been assessed to ensure our health and safety arrangements are to an acceptable, industry wide, standard. 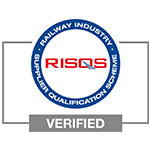 We are RISQS verified – we have been evaluated for our performance in HSEQ and have been formally recognised as capable suppliers to the GB rail industry. We have a dedicated NEBOSH qualified Health and Safety Officer who constantly monitors our policies and updates them on a regular basis. All of our operators are qualified under the CITB to confirm that they have the necessary skills in order to operate safely on site.